Although this is yet another pokie based around North American wildlife, players who are fed up with the same old theme shouldn’t dismiss this one right away, as it’s got a couple of features that make it a bit more interesting. Of course the many people who love the theme and can’t get enough of it will flock to this game like a herd of buffalo and these are the ones that games developer Ainsworth are aiming at with this classic design. Even the layout is traditional, with 5 reels, symbols lined up in 3 rows and just 20 paylines across the game. 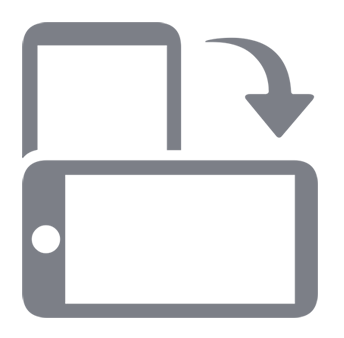 Players can stake from 0.20 on a spin, or go up to 100.00 and win prizes whenever 2 or 3 (depending on the symbol), or more of the same type stop across a line running left to right, although there’s a scatter symbol that pays in any positions. So far, so ordinary, which isn’t necessarily a bad thing, as Ainsworth are simply providing a nice, easy pokiethat will appeal to the widest possible audience. The bonus features are fairly standard as well, with players scoring extra wins with the wild symbol, and there’s a couple of free spins bonus games which have a couple of tricks up their sleeves and that can lead to bigger and more frequent wins throughout. There’s a picture of a snow-covered forest behind the reels, which is quite attractive and sets the theme up very well. On the reels, players will find the 9, 10, J, Q, K and A playing card symbols that make up the lower value end of the paytable, with bigger rewards for the unique picture symbols. Not that unique however, as it seems every pokie based on this wilderness theme features the same animals, but there’s probably not that many to choose from, so we have a buffalo, deer and wolf, along with a nest of golden eggs and a nice picture of a rock arch against the sunset, which is the most valuable of the standard symbols. 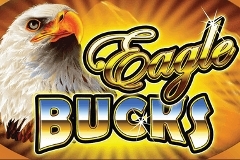 A game called Eagle Bucks wouldn’t be complete without a large bird of prey turning up somewhere, so there’s a bald eagle who can land the biggest payouts of 2.5, 7.5 or 50x the stakeand also doubles up as a wild symbol. This means it can substitute for others and therefore help to complete more winning lines, although it won’t act as the scatter symbol, as this has a couple of other jobs to do. The game logo is a scatter, with players winning 2x, 10x or 100x their total stake when 3, 4 or 5 stop in any positions at once. It is also the way into a free spins bonus game, which comes in 2 randomly selected versions andeach has some extra features within to help make them more rewarding. In one version, players are given 10 spins to start with and during these, the wild will only appear on reels 2, 3 and 4, but when it does, it will expand up and down the reel to fill all 3 rows. This can help to complete even more lines, especially if players are lucky enough to see the wild expand across 2 or 3 reels at once, which could lead to multiple 4 of a kind wins. In the other version, reel 5 is filled with the wild symbol throughout the whole round, which is in addition to the expanding wilds on reels 2, 3 and 4, not instead of them, so this is the one players will hope to trigger. If the scatter symbol appears during either free games round, a further 5 spins are added to the end of any still left to play out. While the free games are undoubtedly worth more, the rock arch and wolf symbols, that will normally pay a prize just for 2 on a line, will only be worth a win for 3 or more. It’s a subtle difference that probably won’t affect the overall returns much. Assuming players are attracted to the over-used theme, Eagle Bucks is a good all-rounder that won’t throw many surprises at them. The standard design, layout and run of play may not be the most exciting ever seen, but that isn’t the point, as this pokie will cater for people new to these games and those who know what they like and see that this one provides it. The potential for triggering either free spins round is a little unusual, so Eagle Bucks isn’t completely standard, and the extra wilds in play should ensure that these can be some rewarding spins.